Any radiation exposure can potentially have negative effects on health. This can be considered as the basic principle of radiation protection. It is therefore no surprise that damage due to ionising radiation was first observed very soon after the discovery of radioactivity by Becquerel . The biological effect of ionising radiation is a consequence of the energy transfer, by ionisation and excitation, to cells in the body. 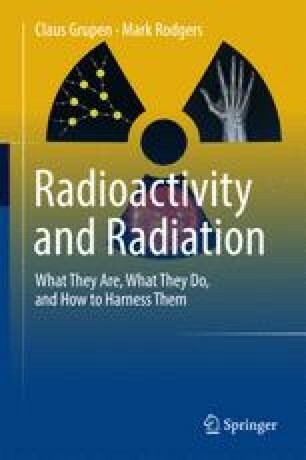 Biological consequences of ionising radiation are subdivided into early and late effects. Early effects are only observed for doses larger than 250 mSv. In this case, the seriousness of the consequence is directly related to the dose. The lethal dose (50 per cent mortality) is around 4 Sieverts for humans. Late effects (mostly cancer) occur a long while after the exposure, typically 20 years. Here, the severity of the outcome does not depend on the dose, but rather the probability of occurrence of each outcome does. Ionising radiation can also cause mutations in germ cells.